Reinforcement learning is a computational approach to learning whereby an agent tries to maximize the total amount of reward it receives when interacting with a complex, uncertain environment. 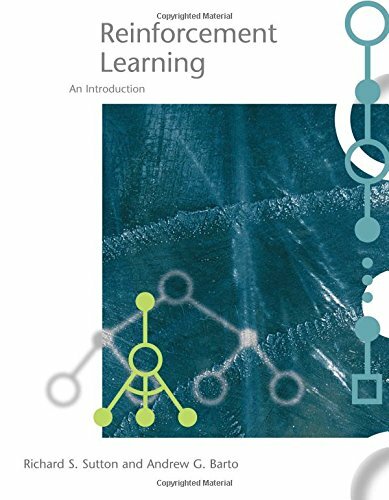 In this book, Richard Sutton and Andrew Barto provide a clear and simple account of the key ideas and algorithms of reinforcement learning. Their discussion ranges from the history of the field's intellectual foundations to the most recent developments and applications. The only necessary mathematical background is familiarity with elementary concepts of probability. A textbook on information theory, Bayesian inference and learning algorithms, useful for undergraduates and postgraduates students, and as a reference for researchers. Essential reading for students of electrical engineering and computer science.